At the 2018 New Faculty Orientation, the Center for Teaching Excellence hosted over 30 new faculty members for three days of informational sessions. 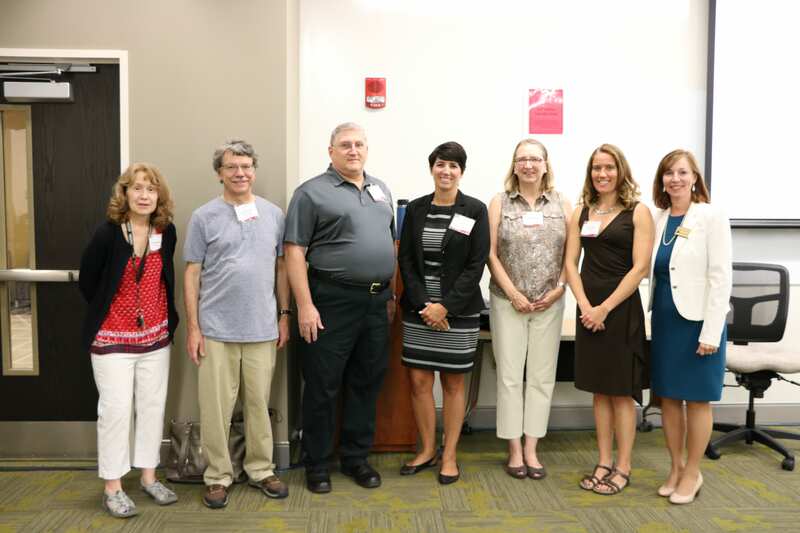 In addition to receiving information about the many offices, services, and facilities here at IUP, the new faculty also learned about time management from Dr. Pagnucci and Dr. Weinstein, had an opportunity to hear stories from newer faculty on classroom management, and had a campus tour! 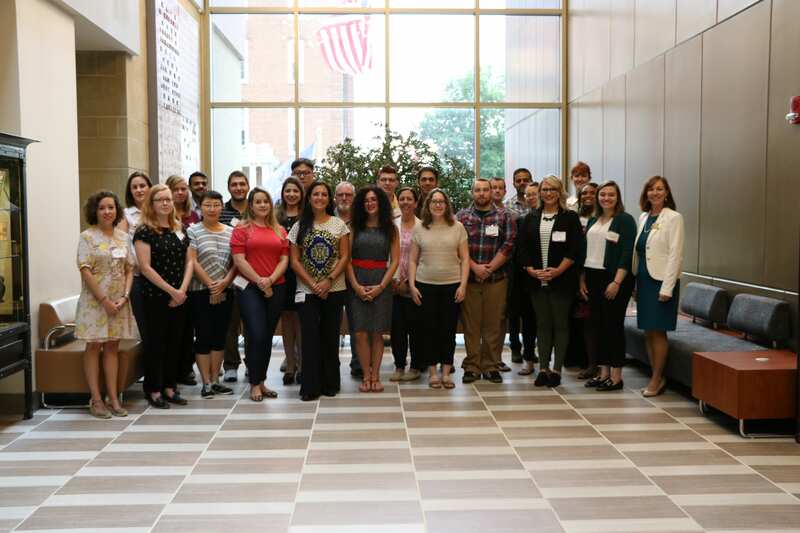 Overall, the new faculty were amazed at the amount of resources the Indiana University of Pennsylvania has for faculty and staff in areas of research and teacher support. The Center for Teaching Excellence and Reflective Practices also hosted an informational session for the new faculty that addressed common classroom questions. The new faculty members were asked to talk about their previous experiences in education and how they thought those experiences could transfer to their new classrooms. The Reflective Practice Co-Directors also discussed the importance of constantly improving your methods interacting with students inside the classroom. The Center for Teaching Excellence wishes to thank the University President, Provost, faculty, and staff for their engagement with the New Faculty Orientation each year to make it a spectacular three-day event that culminates with the Fall IUP College of Education and Communication’s Technology Day, a free, in-house IUP conference day with sessions created to demonstrate IUP’s newest technological resources.